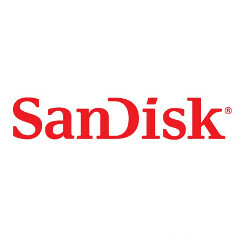 SanDisk is an established front-runner in the development of portable storage media. The SD card, in particular, would not have come along in such strides over the years were it not for SanDisk's research and innovation. Nowadays, we can store hundreds of gigabytes of data into cards the size of a fingernail, but the industry, or rather, SanDisk, is not stopping there. The California-based firm has just taken the wraps off a 1 TB SD card, which it claims is the world's first of such size. A whole terabyte sounds like an endless supply. But with a few cameras, for example, capable of shooting at 8K resolution, 1 TB of expansion can get eaten up rather quickly. Western Digital, the parent company of SanDisk, suggests that its spacious new card will be able to handle UHD video with aplomb, and the card's continued development also has an eye on the emerging VR industry. It's still a prototype for now, though, so you won't be able to get your hands on it for the time being. SanDisk's own 512 GB SD card is currently up on Amazon for just over $300, so we wouldn't be shocked if the terabyte model winds up at near or over the $1000 mark. Regardless of how much it will cost initially, storage media of this nature usually falls in price sharply. For example, SanDisk introduced its 200 GB microSD card early last year and by the time it released in June, the touted $400 price tag was a mere $239. Now, just a year later, you can pick one up for a measly $59 when the deals are on. SanDisk's exciting concept card is not of the microSD variety so even when it does hit the market, you'll not be able to slot it into your smartphone or tablet — though some tablets do cater to full-size SD cards. Nevertheless, it's a promising inroad, and hopefully, it won't be long before we can add a terabyte or more to our mobile devices' repertories. Would you, in future, like an extra terabyte on board your device to play around with? Let us know in the comments below. It would be interesting to know the read/write speeds. I'm good. I'll wait for Samsungs' TB SD card. Had SanDisk SD's wipe out on me from 8GB-64GB. Been using Samsung SD's from 32GB on up & have had no issues. Yeah I had a SanDisk 64GB burn up. I was copying files from it and all of a sudden it just crashed. I pulled it out and it was too hot to hold. After it cooled I put ti back in and the PC didnt even recognize it. I put it into a phone. NOTHING! I was so mad because I lost some very cool pictures/videos from a great Disney trip with the kid who went for the first time. So yeah I dont buy SanDisk now either. I've had better results with PNY and Samsung. I have 2 256GB from Samsung and one 128GB from PNY. The PNY one I've had for 2 years now. I paid $80 for it. No issue. Fingers crossed! Damn, sorry to hear that, man. My wife's SanDisk crashed on her & it had our Sea World & Busch Gardens trips from '14 & '15. Luckily for her I do weekly phone backups on our PC. I gave her my old Samsung 64GB & it's worked great & I'm giving her my 128GB when I find the time to transfer everything to the 256GB freebie from Sammy. Even though most tablets, smartphones and PC's can't use SDCARD directly, they do make USB readers. So you can still use them with any device with a USB port, or a USB adapter like what Samsung phones come with now (Note 7). Wow! Just wait for then microSD goes 1TB. Amazing how sometime so small can hold so much. Even with UHD video, that is space for quite a few of them. Bring it on! I remember when 1TB SSD's were $1000's. Now you can get them for half that. Once SDD's replace HDD on even low end PC's standard, cost on those are going to be really cheap too.